Scott played his college career with Liberty University Men's Soccer Team as the starting goal keeper all four years, finished third in Liberty annuals with a 0.97 goals-against average, while posting a 28-15-7 record and logging over 4,600 minutes in the Flames goal during college career. • Finished second all-time in Liberty University Men’s Soccer program history with 22 shutouts. Renee’ is a soccer player in addition to being a coach. She played college soccer and earned a BA in Political Science with a minor in Social Studies. She is AED certified and is trained to administer Epi-pen. 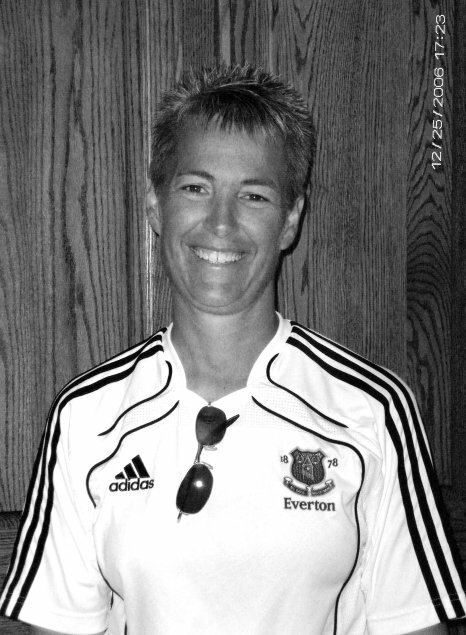 Renee’ has coached and trained many teams for the last 30+ years including Recreational, Competitive, State League, Midwest Regional League and High School teams both JV and Varsity (boys and girls). She has been exposed to training from around Europe and uses that knowledge in her training sessions. Her teams have won State Championships and Conference Titles. She holds a National D coaching license from the State, is C license trained and has also completed the ASEP training through WIAA. She has completed the NAIA Champions of Character Coaching Course. Renee recently received her Director Of Coaching Diploma from United Soccer Coaches (formerly the NSCAA). JJ has his USSF “E” License since 2004. He was a four year starter for Carroll University where he played multiple positions along the back line. He was the first Carroll player to ever win the Player of the Year award and the first defender to ever win the award. JJ has coached in many different rolls and with many different ages during high school and after playing collegiately . JJ graduated from Carroll University with a Bachelors of Science degree in Athletic Training. 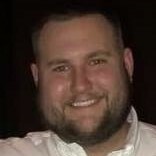 He then pursued graduate school at Marshall University and completed his Masters of Science in Exercise Science with an emphasis in Athletic Training. He works at the YMCA as a personal trainer. JJ, a native of Eden Prairie, MN currently reside in Greenville with his wife Crystal, son Aiden, and daughter Alexis. Born and Raised in Dunstable, England. I grew up playing soccer from the moment I could walk and have continued playing ever since. I have played competitively from the age of 8, representing my middle and high school teams as well as my university team back in England. I still play men’s league now just with less running. I started coaching at 17 when I received my FA Level 1 Coaching Badge and coached my cousins U9 team as well as helping run a soccer club with 2 friends for two years. I went off to Chester University (UK) to study Sports coaching and management. While at university I coached with the Everton F.C community Development program which was coaching soccer at schools for children 4-8 years old. I graduated in 2012. From 2011 to present I have spent the majority of my time coaching soccer in the USA. During this time I have coached on 65+ summer camps, worked with numerous clubs and players from recreational, competitive, state, JV and Varsity teams as well as helping with curriculums for a park and rec program to help develop players and coaches. More Coaches to be added for the 2018-2019 season! !